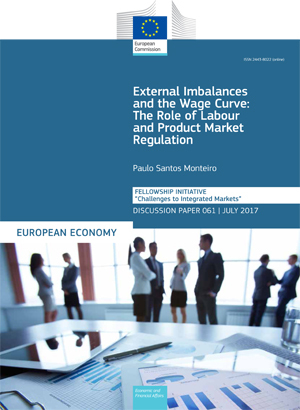 A look at how labour market institutions and product market regulation interact with economic shocks, and affect unemployment and wage dynamics during periods of external imbalances corrections. Discussion Paper 061. July 2017. Brussels. PDF. 36pp. Tab. Graph. Bibliogr. Free. JEL classification: E52, E58, E61, E62, G01.